Wow! it's the third meeting in July! 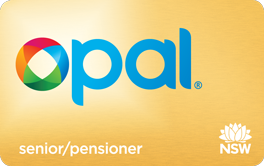 Look out for an information sheet about the OPAL card it will be on the sign-in table, near the newsletter for new members and copies of the Voice. The OPAL info sheet doesn't provide all the answers but everything that is known at the moment.